What do Mark Twain, Diane English, Harold Arlen, Michael Bennett, and F. Scott Fitzgerald all have in common? The answer is: each one of these creative geniuses has a tie to Buffalo and Western New York. Walt Whitman once said that "a great city is that which has the greatest men and women." If the assertion is true, then Buffalo is a city of grand stature. The region has been home to score of creative stars, including famous novelists, songwriters, playwrights and Hollywood producers, who have helped to mold the television and movie industries. 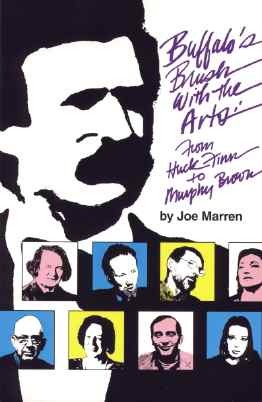 In a first-of-a-kind book, Joe Marren takes readers on a riveting armchair tour behind the manuscripts and million dollar book deals, highlighting Buffalo's connection to dozens of literary luminaries. 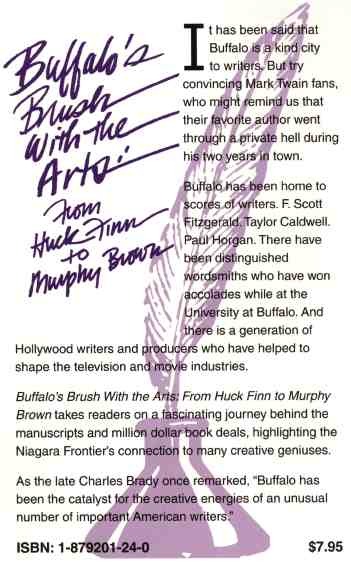 Buffalo's Brush With the Arts: From Huck Finn to Murphy Brown will educate and entertain those who desire to have a better understanding of our region's creative legacy.